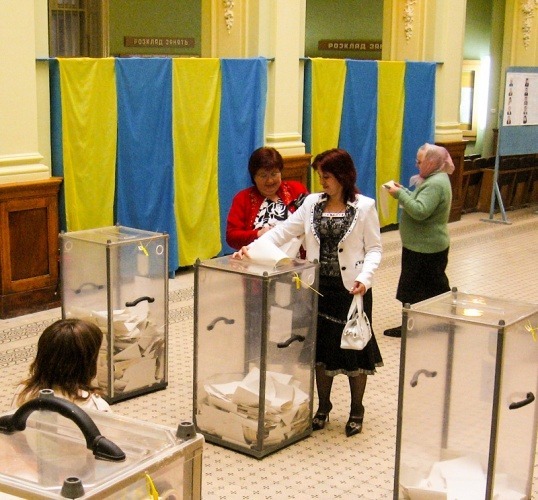 The results of the presidential elections in Ukraine announced on April, 1, the day known as April Fools day, played a joke with those in Moscow who had hoped that the next Ukraine leader would be a soft target for the Russian pressure. Russia’s hardliners received two blows on Monday. First, the acting president Petro Poroshenko still has a chance to be re-elected for the second term in office. Second, his principal opponent, Vladimir Zelensky, made it into the second round due in three weeks. For the Kremlin, this means a choice without choice. Both Poroshenko and Zelensky, though fiercely campaigning against each other, have one thing in common: zero tolerance to Russia’s support of Ukraine’s breakaway Eastern regions and annexation of Crimea. No warming in the Russia-Ukraine relations is in the air, predicts the director of Moscow Carnegie Center, Dmitry Trenin. Zelensky is a candidate of certain forces, which are unable to come to terms with Poroshenko in sharing the national wealth. So, if you want to predict what could be Kiev’s attitude to Russia under Zelensky’s presidency, don’t twist your mind – it remains the same, Trenin says. Ukrainian society has developed a consensus over the image of Russia, and that image is far from friendly. Any Ukrainian president has to take those sentiments into account, unless they want their first term to become the last. Zelensky is an out-of-system candidate with no political party backing him up. But it is impossible to successfully run a presidential campaign that only utilises one’s popularity as a TV-star, as stated by Kiev Yaroslav Pavlovsky, director of the Information Society Institute. According to the expert, Zelensky is only a frontman of billionaire Igor Kolomoisky, so if one wants to guess the potential new president’s politics, have a look at those of the oligarch. That means that for Moscow it will be a lose-lose situation regardless of who occupies the presidential office in Kiev come April 21. Poroshenko and Zelensky are both controlled politicians, with the only difference between them being that the former has been under U.S. influence, while the latter has been a puppet of the local oligarch. Kolomoysky’s business interests in no way make his ‚frontman‘ a more comfortable counterpart for the Kremlin or Donbass self-proclaimed republics. Kolomoisky lost many assets in those breakaway entities, so the next day Zelensky takes an oath as a new president, all his pre-election promises will go directly into the bin. Still, some experts believe that if the presidential palace in Kiev houses a new tenant, Russia, Crimea and Donbass issues will be pushed to the political backstage. The Ukrainian elite has not produced any common ground to date on how to get out of the „hybrid dead-end“ in relations with Moscow, says head of the Global Strategy Institute in Kiev, Vadim Karasev. According to Karasev, Ukrainian oligarchs see Petro Poroshenko as a threat more dangerous than Vladimir Putin. They are anxious that if Poroshenko retains his office for another term, in five-years‘ time there will be only one billionaire in the country – Poroshenko himself.